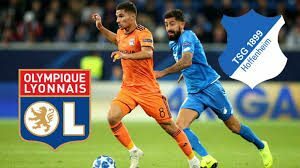 Olympique Lyonnais hosts Hoffenheim in a match from Group F of the Champions League. This is a very important clash for both teams. Let’s see. Olympique Lyonnais started their Champions League campaign with a bang, beating the favourite in the group Manchester City at the Etihad Stadium. But things didn’t continue like this for the French team, because in the next two matches – against Shakhtar and Hoffenheim, Bruno Genesio’s team made two draws, being unable to record a second win. Hoffenheim on the other hand are 3rd in the group with 2 points won so far, but still having a chance to progress. The German team made two draws since the start of the group phase, but now they are going to look for their first win. A win which they need in order to progress for the next stage of the competition. Olympique Lyonnais and Hoffenheim met just two weeks ago on a German soil and they made a spectacular game. The match ended with a 3-3 draw, which left the fans without a breath. Andrej Kramaric and Joelinton scored for Hoffe, while Bertrand Traore, Tanguy Ndombele and Memphis Depay scored for the French club. Lyonnais could regret about this draw, because just seconds before the end they have a goal advantage in the result. If these two sides continue to score goals to each other with this tempo, we shall expect a thrilling match in Lyonnais. How we said – for both teams it’s very important to win this one, if they want to continue in the competition. That’s what we think about the Champions League clash between Olympique Lyonnais and Hoffenheim in Group F of the competition. Lyonnais are in a better position in the group at the moment, but Hoffenheim are hungry for points. Let’s see.